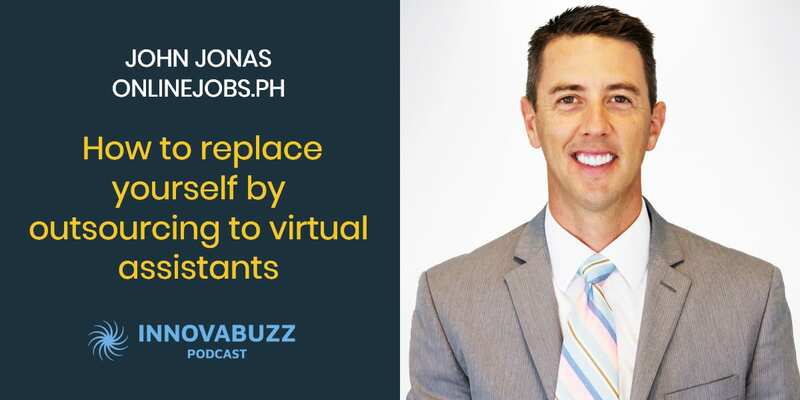 In this episode, I’m really excited to have on the InnovaBuzz podcast as my guest, John Jonas, Founder of OnlineJobs.ph, the marketplace to find and hire virtual assistants in the Philippines. John helps entrepreneurs replace themselves by outsourcing to virtual assistants in the Philippines. Small business owners work more than anybody else. Hiring full-time staff allows you to step outside and look at the business, and work “ON” the business instead of “in” the business. The Philippines has a whole set of cultural things that don’t exist anywhere else in the world. Filipinos are very honest, loyal and speak very good English. Filipinos are very pleasing. They want to make you happy. They go above and beyond what you ask them to do. Working with a remote team requires a certain personality. Set expectations. Realise that it is not going to work the first time. Remote working is not a magic bullet thing that is going to change your life overnight. It is hard work at first. Communicate regularly and be positive. The first thing you should outsource is the thing that you know how to do and that you are very capable of doing. You can’t buy time but you can buy it differently. Write down the things that you do and see which of those things can be done by someone else. Hire someone to do that one task and work with them through it. Give them training. Give them feedback. Tweak the system a little bit if it doesn’t work until you get it right. 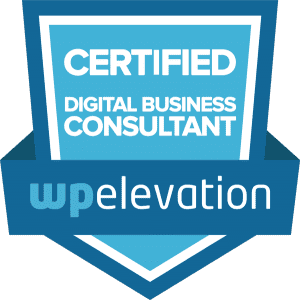 Training and working with remote teams takes time. It takes more time than to just do it yourself but it also pays off a hundred times over. English is an important skill set to hire for. You can teach someone to do all kinds of stuff but you can’t teach English. More important than English is dedication and attention to detail. Here are John’s answers to the questions of our Innovation round. Listen to the interview to get the full scoop. #1 thing to be more innovative – Think through the really hard things. Ask questions. Best thing for new ideas – Getting feedback from team. Ask them for their input and their ideas. Favourite tool for innovation – Not using social media and only using my computer for work. Protecting my time at my computer. Basecamp for project management. Keep project / client on track – Have someone else do the work so that you can focus on keeping other projects on track. Differentiate – Do the opposite of what most people say. Take a risk. Great things are not achieved without risk. You can reach out and thank John through his website and on Facebook. He lives in Utah with his wife and 5 kids. He loves hiking, camping, playing with his kids, and cross country skiing. He’s addicted to golf and plays 4-5 times a week. I love this podcast with John Jonas; very informative and enriching . A whole new level of earning a living in the company of loved ones. Eventually this will change the notion of working far from family specially the overseas workers. Yes, it’s a win-win-win situation. Business wins, employee wins and it’s good for the economies.